Feline Festival Of Lights Featuring Rosie & Izzy. Welcome to a holiday edition of Mancat Monday with Clyde and feline friends. 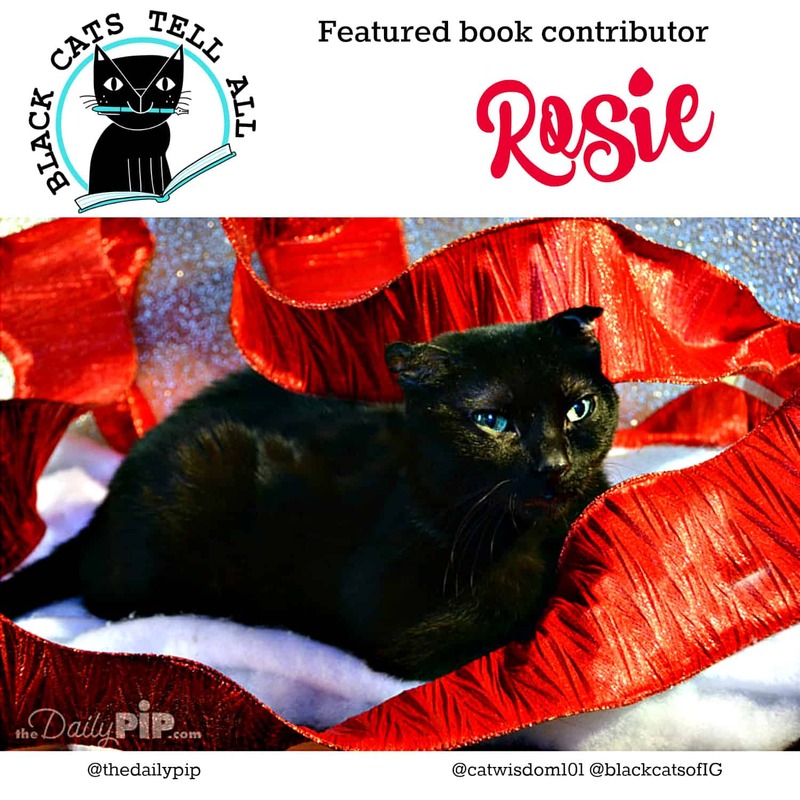 Before I introduce you to our featured cats this week Rosie and Izzy, I have a few tidbits of other news. It suddenly turned into a winter wonderland this weekend in New York. As an indoor-only cat, I have no interest gallivanting in the snow like my fursibs Odin and Domino. To tell you the truth, I have lived nearly 18 years without touching the white stuff and I’m not about to start now. My predecessor and OTRB mentor Merlin often said, Odin was more Siberian Husky than cat. Hmm, that might explain a few things. The snow was the damp, mushy kind that stiffens old bones like mine. While Odin enjoyed his usual revolving door of inside, outside, inside, outside, Domino favored the electric heating pad. 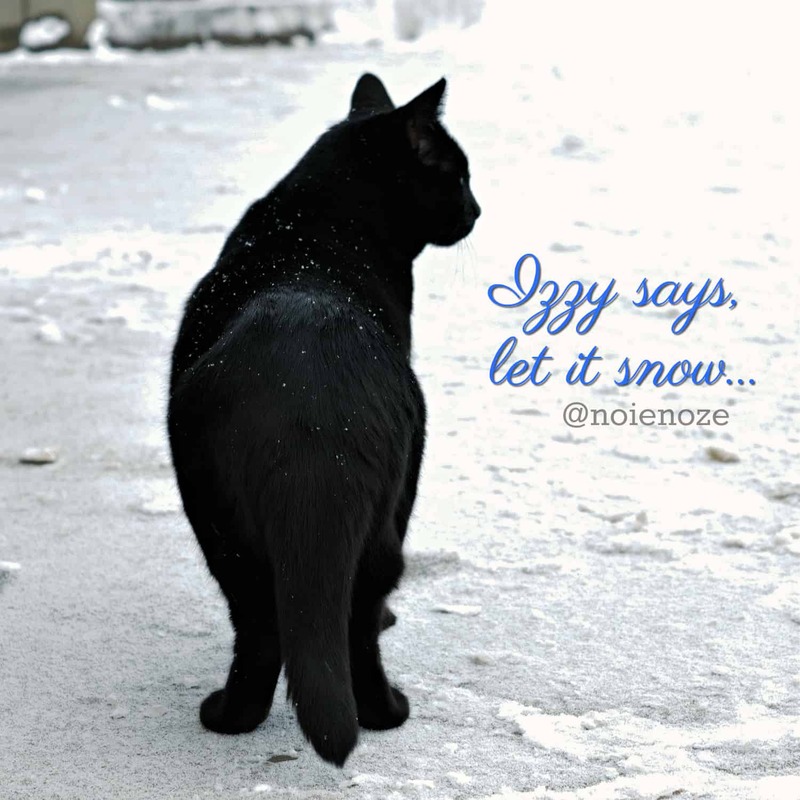 Many of my fellow felines like Izzy enjoy a romp in the snow, but please let us cats decide. Not every feline is cut out to be an all-weather adventure cat. 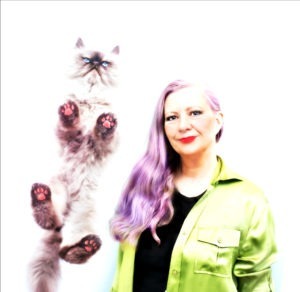 With so much bad news lately, (seriously, everyone we know is going through something) it was good to receive good news about Punchy, the cat who inspired Layla to take a leap into publishing. It’s actually a bit of a miracle. Speaking of miracles, Hanukkah, the Jewish 8-day festival of lights begins tomorrow at sunset. But I digress, as is my feline prerogative. Punchy is a very old, black feral patriarch of a colony in rural Iowa. He’s older than me and an important contributor to our Black Cats Tell All book. The colony dwindled down over the years to a handful thanks to TNR. Punchy’s longevity can be attributed to hardy black cat genes, but I say it’s the loving care of his humom, Ellen. When Layla first contacted Ellen about sharing Punchy’s story, he was already old and in snaggle-toothed decline. When the project dragged on for what felt like nine lives, Ellen was a steady shoulder to rely on. When others lost faith, she stayed true. Not to mention being a retweeting angel @tannawings. Layla hoped but never expected Punchy to survive the long, rough winter last year. Iowa winters are cold, but he did. Last week Ellen filled us in on how he is doing and it turned into such a great story, I want devote an entire post to him before the New Year. Rough times continue and what make our hearts lighter is receiving emails like this one. my wonderful, fantastic, beautiful, priceless book arrived yesterday! I wanted to open it up and glance thru it but I didn’t. Tonight I will sit down with a cup of coffee and at least one cat on the couch with me and read it, and savor each story and picture and heartfelt word of love cover to cover like it deserves to be done, with great care and love. It is snowy here and this will be a wonderful time to devour the whole wonderful book!!! Thank you so very much for the gifts and for creating such a beautiful book that honors the beauty, grace, charm and wonder that is a black cat!!!! What also warms my heart and I hope yours is sharing some more black cat love. Meet Rosie, who is frankly, my type. A little older with adorable crumpled ears and some meat on her bones. And what a tale she has to tell. She survived the streets of Chicago in the winter and it’s one of my favorite stories in the book. She shares a home with her humom, blogger Kristin Avery and a dog named Ruby. For the month of December they are posting 31 Ways to Celebrate The Holidays By Helping Animals at The Daily Pip. Their must-read post today Hospice Foster Care For Shelter Pets. Go there now. I mean it. You can come back here later or another time. It’s a great story. It’s about a misunderstood black cat named Cleo who got a second chance just like me. We’re hoping and purring a bunch of shelter pets like us get a second chance over the holidays. Even pets who aren’t in palliative care really appreciate a short break in a real home away from the stresses of shelter life. Sometimes a foster situation lasts for a few days or weeks but sometimes, longer. When Layla fostered Nou Nou over the holidays she expected it to be for three weeks, tops. That was three years ago and Layla ended up adopting her. No matter how long you end up fostering a shelter pet, it will be their best gift ever. No, it will be the best gift you give each other. I should know. Last year I faced the prospect of being alone in a shelter cage for the holidays. Little miracles can happen when you say, yes. 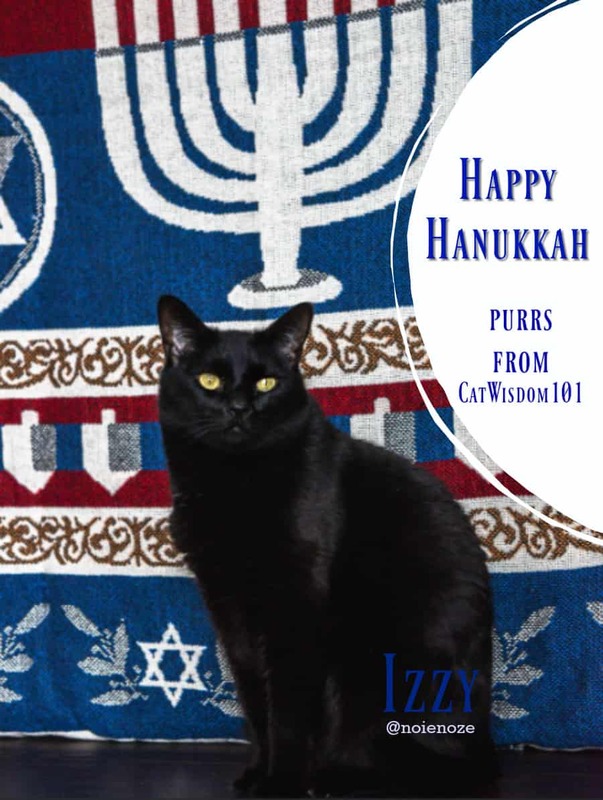 Meet Izzy, our featured Hanukkah cat. We first “met” Izzy as a calendar submission. 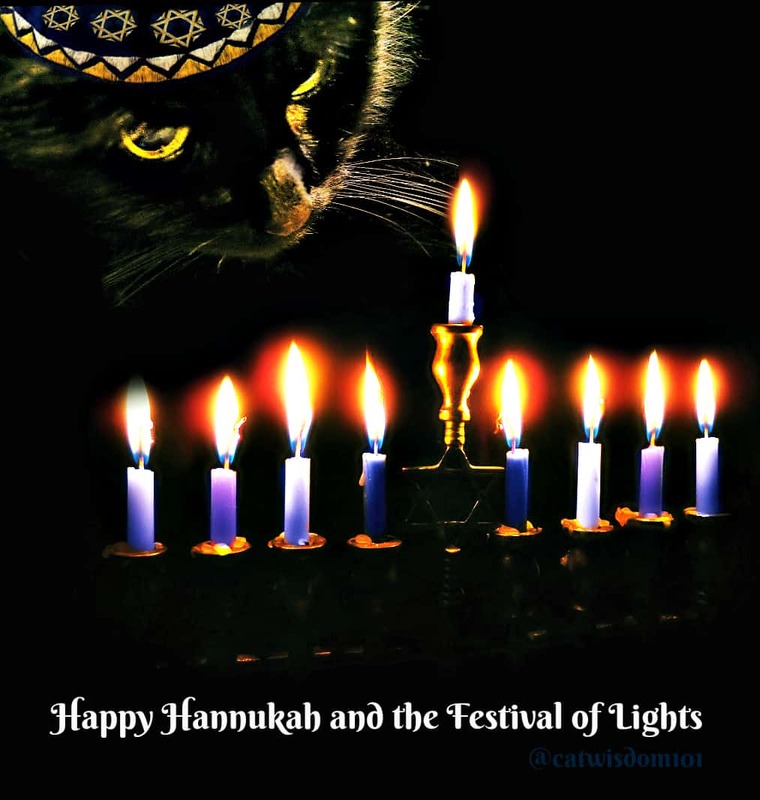 He’s a Jewish kitty who lives with his humom in Colorado and while none of his photos fit our theme or format, I thought he was perfect for our festival of lights feature. There are many beliefs and traditions celebrated in December but they all share one thing in common: the light from candles. In our book, there is no mention of it, but the owners of the cats are: Christian, Jewish, Buddhist, Hindu, Muslim, Pagan, Wiccan and atheist. What unites us (our love of cats) is far stronger than our differences. 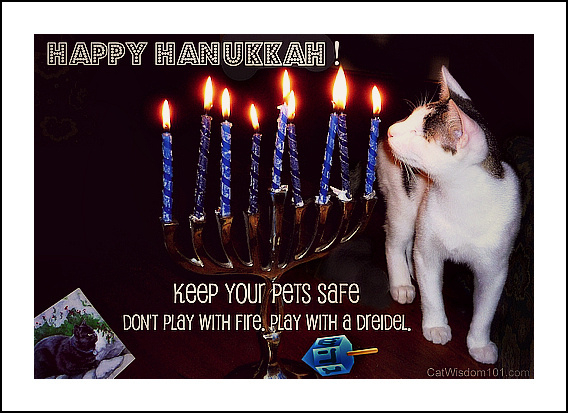 It’s with that in mind, I wish you brightest blessings and a Happy Hanukkah. If you feel like doing some nonprofit shopping, we have two calendars. 20% off today. Includes affiliate links. Check back for a bigger sale this week. AND we have a few new mug designs that are 60% off today only! We are finally here! We tried several times over the last week but the site didn’t load. But today it was super fast and here we are! Thank you so much for including me and featuring my story in your – and my dear great Aunt Cleo. She left before I arrived, but my human assistant thinks we may be connected. Black Cats Tell All is proudly displayed in our living room so that everyone can see it! We just love it and are ordering several copies to give out as gifts! Hi Rosie and purrs to your dear human assistant. Thanks for the black cat love xo Clyde. we got in finally! What a beautiful and loving post today. We truly believe that if everyone focused on what connects us instead of what separates us we would all live a happier life. We are thrilled about Punchy! We know that love and care can go so very far in helping one have the sheer will to survive no matter what. Thanks for whatevfur you did to fix things up! Izzy is a lovely little kitty! Have a great season of whatever holiday you catabrate. Testing. Our website host is slow as molasses today.